Starting plants from seed is not as hard as it sounds. 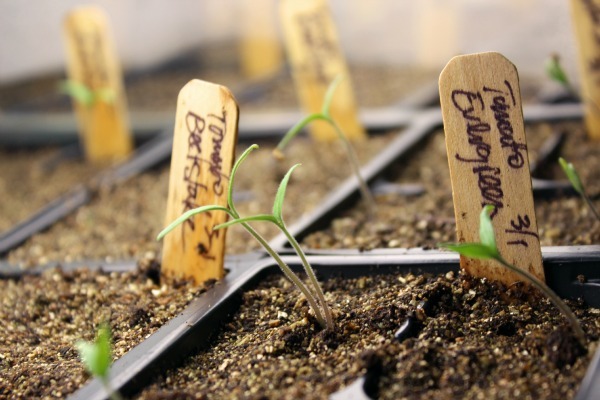 While it may seem intimidating at first, starting seeds from scratch can be a very rewarding experience. Once you know the basics, it really isn’t hard at all and you have a lot more choices about what to grow. Rare, unusual and heirloom plants are easily sown from seed! 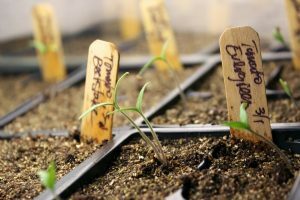 In this episode Joe will share some of the joys and specific how-tos of growing your own plants from seed. Seed packets cost far less than purchasing individual plants. Extra seed can be saved from year to year. Even with the additional expense of lighting, growing containers, and heating, these are largely one-time expenses and may already be things you have around or can find inexpensively. Another benefit? You now have a huge selection of possibilities! From mail-order seed catalogs to seed swaps to trading with friends to looking through your stock of seed saved from years past, the varieties available to you are countless. When purchasing plants, you have the selection of what your favorite garden center or online vendors have already chosen to grow and offer for that season. 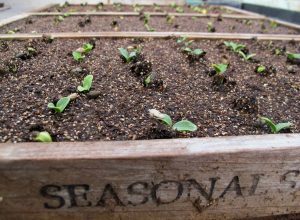 When you start from seed, you control the timing of your growing season. 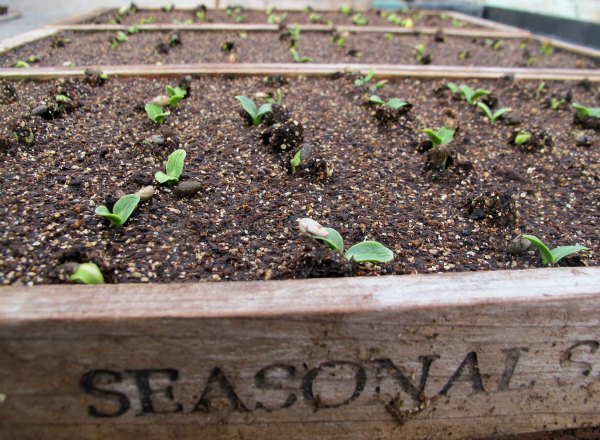 Start seeds indoors early and plant them out when you like. Stagger your sowing and planting times for a rolling harvest. Extend your growing season, even experiment with growing veggies in the winter in a greenhouse if you like. It’s up to you! Need more reasons? It’s just fun! It’s highly rewarding to do, you can get the kids interested and involved, share seeds and seed starts with friends, and try all sorts of different varieties. Create truly unique bouquets you’d never find in a store, and then continue sharing the harvest and save seeds again for coming years! Really enjoy your show and watch it every Sunday. Trying to locate and print out seed starting article from the 605 show but message pops up saying page not found Please help, Thanks! I like your idea for starting early, my neighbors are envious of how quickly I get my garden growing before the last freeze’s. Good tips here Mike. Thanks for sharing. Thanks for this information, I started seeds for the first time this year and it has been so rewarding!! I do have an issue I’m unable to resolve and wonder if you have any insight… I’m using a heat mat, bottom watering, running a fan and I’m developing white and green fungus in surface of dirt??? What am I doing wrong… All my seeds have germinated and seedlings look healthy…. Just started a second round and don’t want to repeat the problem … Any insight? Thank you!! I tried something new this year. I saved up the card board cores from my TP and paper towels, I found that I can cut and fold the tubes to give them a bottom… and they make great plug containers. The wet cardboard practically disintegrates when west so I should be able to just plant cardboard and all. Another thing I noticed is if the cardboard looks dry, it’s about time to water the seedlings. This is a great tip Sylvia. We’ve done the same thing and it is a very resourceful and effective way to create a seed-starting environment for all the reasons you’ve mentioned and more. Thanks for contributing! What did he use for soil when making soil blocks? I missed that bit. Thanks! I used the soil that came from Johnny’s Select Seed Company. There’s a link in the show notes for this episode to them or you can google it. They make a bagged soil product that is perfect for this.